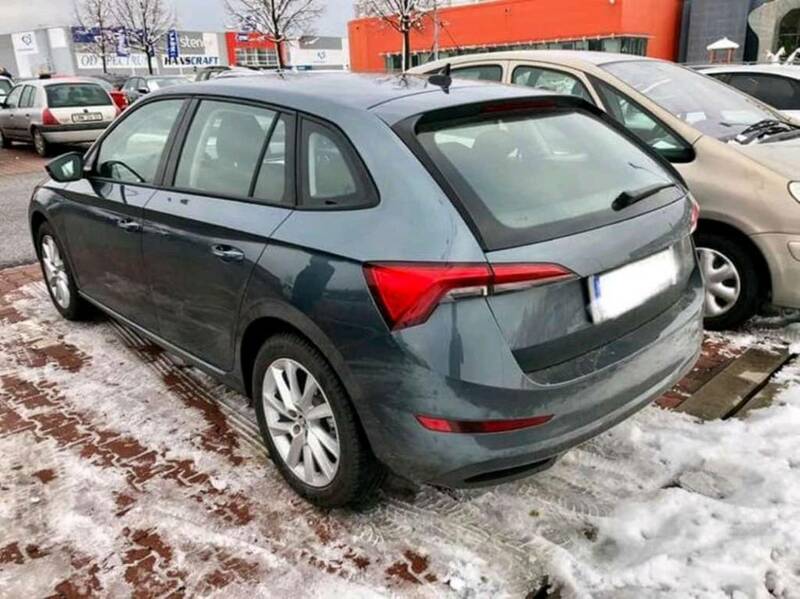 Update: Another live image of the Skoda Scala has surfaced online, courtesy SKODAHOME.cz forum member miklisek. 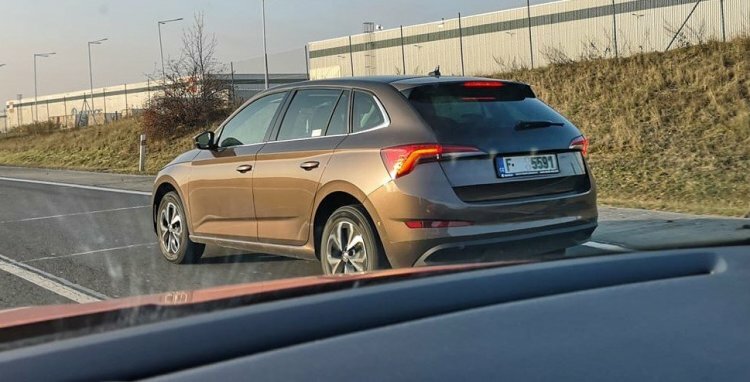 The Skoda Scala, which is under consideration for India, has made its first appearance in daylight without disguise. It will enter the European market as early as in the first half of 2019. The Skoda Scala competes with the Kia Ceed, Seat Leon, Ford Focus, Hyundai i30 and VW Golf in Europe. 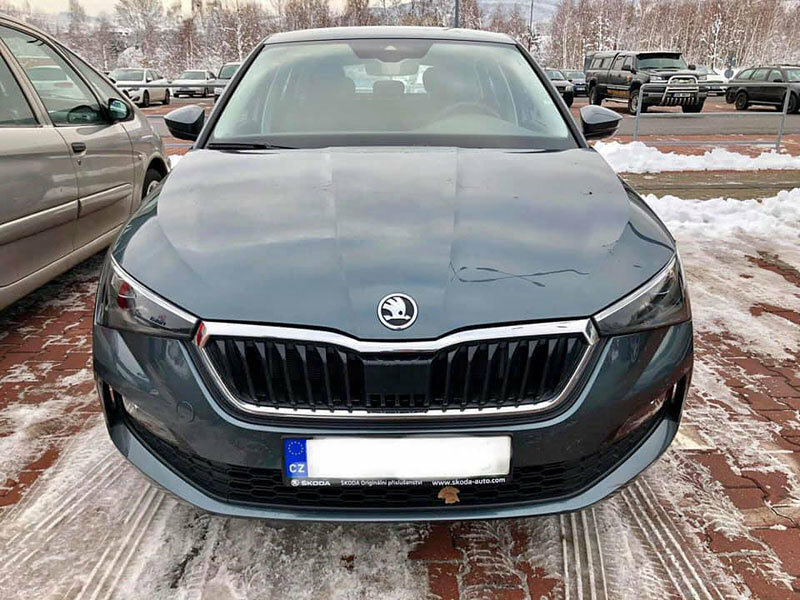 The Skoda Scala is the brand’s first car based on the MQB A0 platform, and it marks a new era for the Czech automaker's design language. The compact hatchback transfers the sensational design language of the Skoda Vision RS concept study into a production vehicle for the first time. On the outside, the Scala features full-LED headlights and tail lights, 18-inch alloy wheels, ‘ŠKODA’ in block lettering across the tailgate - a first a production Skoda and a panoramic glass roof. This particular example (below) isn’t specified with the elongated back glass and block lettering options. 10.25-inch Virtual Cockpit, 9.2-inch Amundsen touchscreen infotainment system with a glass front and a 64-GB SSD hard drive and Suedia microfibre seat covers are some of the interior highlights. The Skoda Scala is 4,362 mm long, 1,793 mm wide and 1,471 mm high. It has a 2,649 mm wheelbase. It has a segment-leading boot volume of 467 litres, expandable to 1,410 litres by folding down the rear seats. There are five engine options: 95 PS 1.0 TSI petrol, 115 PS 1.0 TSI petrol, 150 PS 1.5 TSI petrol, 115 PS 1.6 TDI diesel and 90 PS 1.0 G-TEC petrol-CNG. 5-speed manual, 6-speed manual and 7-speed DSG are the transmission choices. Renault owns the 'Scala' trademark in India, and Skoda will have to use a different name if the hatchback is approved for the Indian market. In India, Skoda is looking at launching the Scala as a brand-building product. If it decides to launch, it may do so only in 2023 or later.